The Truckee boys snowboard team crowds onto the podium along with second-place Davis and third-place Placer at the CNISSF state championships at Mammoth Mountain. Truckee’s big three laid down the fastest runs throughout the season in the state’s most competitive division. 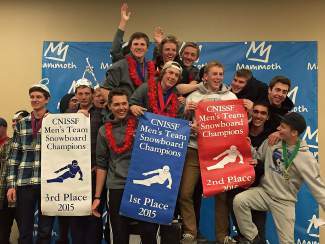 So there was no reason to believe they would not do the same in the CNISSF state snowboard championships. Ryan Murphy, Quinntin Butler and Casey Curtis put on a clinic at Mammoth Mountain on Monday and Tuesday, sweeping the podium in the slalom and placing first, second and eighth in the giant slalom (GS) to lead the Truckee boys to the team state title among a field of 30 schools from across the state. Murphy and Butler were particularly tough to beat. They swapped top places in both events, with Murphy winning the slalom and Butler finishing second, and Butler winning the GS and Murphy finishing runner-up. Curtis, meanwhile, placed third in the slalom and eighth in the GS. Based on tiebreaker rules, Murphy was awarded the individual state championship because he won by a larger margin. Butler placed second overall and Curtis was fifth, while North Tahoe’s Brandon Hayakawa took seventh after recording a third-place finish in the GS and 11th in the slalom. Truckee’s girls did not fair poorly, either. Nichole Graham was the state runner-up, and Sofie Maciel was fifth. The Wolverines, who entered as the two-time defending state champs, placed third overall in the boys and girls combined. The state competition kicked off Monday with the GS. Butler raced to victory in a field of 84 snowboarders, posting a two-run combined time of 81.81 seconds to Murphy’s 82.06. Hayakawa rounded out the top three with a time of 89.29, and Curtis, due to a bobble in his second run, was eighth in 91.90. North Tahoe’s Colton Wood was 59th. The following day in the slalom, Murphy took the win with a combined time of 67 seconds, while Butler was second in 70.83 and Curtis third in 73.91. Hayakawa led the Lakers with an 11th-place finish in 80.11. Phoenix David placed 41st for the Wolverines, Wood was 56th for the Lakers and North Tahoe’s Omar Cerda was 72nd. The combined results gave the Truckee boys the team title with a high score of 709 points. 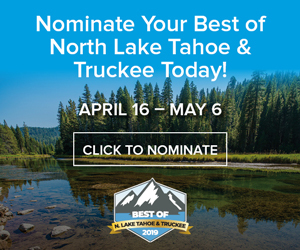 Davis and Placer — both members of Truckee and North Tahoe’s Central II Division — finished second and third with scores of 633 and 632, respectively. North Tahoe’s boys were 14th with 443 points. On the girls side, Graham placed third in the GS with a time of 94.44. Mammoth’s Fleur Connolly won in 85.33, and Placer’s Olivia Obray was runner-up in 93.56. Maciel (96.00) placed sixth. Graham then raced to a runner-up finish in the slalom behind Connolly, posting a time of 78.64 to Connolly’s 74.09. Maciel (80.98) finished just off the podium in fourth. Connolly won the individual state title with her two victories, while Graham came in second and Maciel fifth. 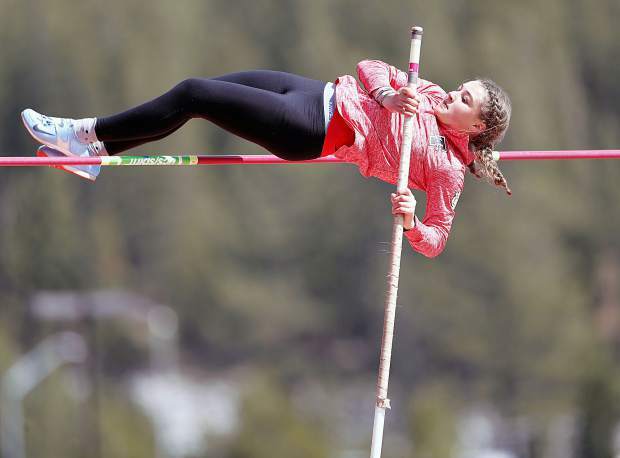 Truckee’s girls were seventh as a team. 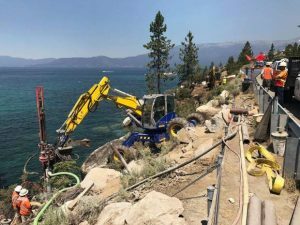 North Tahoe did not have a girls team.